What do you need to know about robots? What can they do? Do you need one? 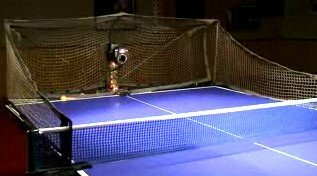 Table tennis robots are a recent innovation in table tennis, having only been commercially available since the late 1980s. But now there are several manufacturers who make and sell their own brands of robots and whilst some of them look like the traditional image of a robot, most of them do not. So maybe you've heard about table tennis robots but you don't know what they are or what they can do? Well, let's take a look at what they are, what they can and cannot do, and why you might want one. 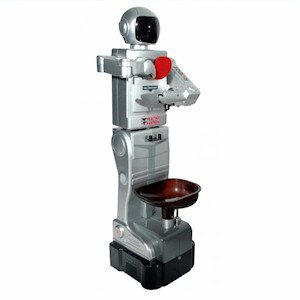 A table tennis robot is simply a machine that can automatically fire table tennis balls from one end of a table tennis table to the other end in a controlled manner. However, some of the basic models will only have a limited number of settings, and not include any nets. Additionally, you will need to provide your own supply of table tennis balls. Most robots are powered by electricity, so an electric supply will also be required close to where they are being used. How do table tennis robots work? Now that there are so many different varieties of robots available, each one will operate slightly differently, but they'll all follow the same principles. The firing mechanism will be attached or placed at one end of the table tennis table, and be pointed towards the opposite end of the table. A supply of table tennis balls will then be loaded into the firing mechanism ready for use (each robot will accommodate a different number of balls). 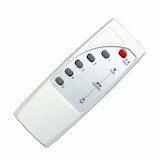 If the robot is programmable, a control box will either be attached to the table or will be free-standing and operate like a TV remote control. This enables you to program the firing mechanism in order to vary the placement of the balls and/or impart different speeds and spins onto the balls as they're fired. So you can program the robot to deliver balls which have either topspin, backspin, left side-spin, right side-spin or even combination spins on them. include nets which are attached to the sides and end of the table in order to catch the balls which are hit back. be designed in such a way that they can then feed the returned balls back into the firing mechanism. This means that you can use them for a longer period of time before you run out of balls. The player then stands at the opposite end of the table to the firing mechanism. When the robot has been programmed (where applicable) and switched on, a steady supply of balls will be fired from the firing mechanism to one, or various, positions on the table. The player can then attempt to hit each ball back over the net towards the robot. This means that you'll be able to choose the type of shots and spins you want to practice against - for example, topspin, backspin, side-spin etc. The speed and frequency that the balls are fired can also be adjusted on some models. How much room will you need? The good news about robots is that they don't take up much room - in fact it's much less than if you were playing against a real person. Because the robot is usually fixed to one end of the table, or sits on top of it, you can push that end of the table right up against a wall. Of course you'll still need enough space at your end to be able to play your own shots, but the total space will be much less than if you were playing against a real person. Why would you want a robot? There are many reasons why you might want a table tennis robot. If you don't have a real person to play against, it's a great substitute ... and much better than using a "return board". You can play for as long as YOU want to, not just how long your opponent wants to play for. You'll also spend more time hitting balls and less time picking them up when you use a robot. Once you've learnt the basic strokes you'll need to practice them to get better. Robots are ideal for this because they "feed" (deliver) you the same shot over and over again so that you can "groove" (replicate) your strokes. And you'll be able to play more strokes than in less time than you would with a real person. The best robots can be programmed to fire the balls to specific locations, so they're ideal for practicing your footwork. If, for example, you're an offensive, attacking style player, but you're weak against low backspin/chopped returns, you can set the robot to deliver a ball with backspin and improve your stroke against that type of shot. 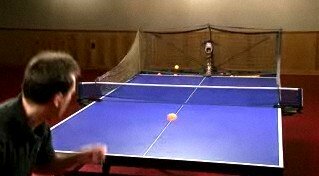 A table tennis coach can set up the robot to "feed" (deliver) a particular shot, leaving the coach to concentrate on the stroke being played by the pupil and not having to both feed the ball and coach at the same time. A robot can be great fun if you have a group of people, especially kids. They'll love it. Make up your own games and competitions ... beat the robot or beat your mates. A robot can be programmed to fire balls to specific locations all over the table, over and over again, at a speed and frequency of your choice. This will give you a great workout. What can't a robot do? 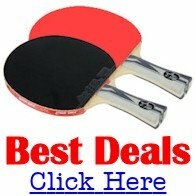 Table tennis robots are great for practicing a specific stroke or routine because they can "feed" you the same shot with the same spin, over and over again. Therefore it'll allow you to "groove" your strokes quickly and efficiently. But it's also important to remember that a robot is not a coach. So you must get your strokes right first, or you'll be practicing and re-enforcing bad habits ... and that can be very difficult to un-learn. So if you're using a robot with the intention of practicing your strokes, make sure you've been taught the correct stroke before you start. However, if you're just wanting to improve your fitness, reflexes, coordination, footwork etc, then use a robot and just have fun!